The Cayman Islands are a British dependency made up of three separate islands: Grand Cayman, Cayman Brac, and Little Cayman. The three islands are northwest of Jamaica and have three different atmospheres. 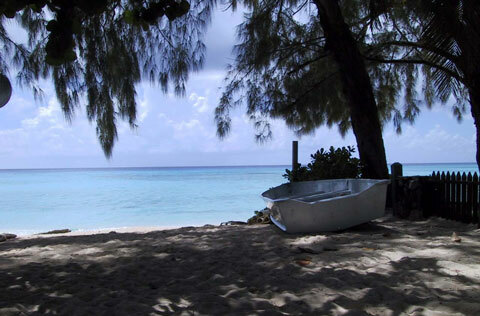 Grand Cayman is flat and commercial; Little Cayman and Cayman Brac are quiet and peaceful. While all three islands are dry and featureless, marine life and underwater coral scenery attract visitors. Three hundred dive and snorkel sites contribute to the islands' reputation as a major scuba diving destination, and diving lessons are widely available to beginners. However, visitors to the Caymans (and other Caribbean islands) often prefer to purchase their scuba gear and snorkels before their vacations rather than rent diving equipment at their destinations. Chantelle Day, 32, and her partner Vickie Bodden, 44, Bush, had to flee the islands after Vickie was refused a spousal VISA and they weren't recognised as their daughters parents. Daily Mail. Saturday, 30 Mar 2019 00:06:32 +0000. Andrew Buncombe. The Independent. Friday, 29 Mar 2019 14:53:00 +0000. The Cayman Islands climate is tropical marine; the warm and rainy summer season runs from May through October while the cool and dry winter season lasts from November through April. Accommodations on the Caymans range from simple to luxurious. Dining choices range from waterfront restaurants to local eateries, from Caymanian specialties to fast food. "Brac" means "bluff," and rock-climbers come to the Bluff in the middle of Cayman Brac, a plateau with 140-ft cliffs and numerous caves. Among the island's dive sites, the Captain Keith Tibbets and the Oceanic Voyagers are the most popular. Grand Cayman is the largest of the three islands, and its capital, George Town, is a popular center for offshore banking and duty-free shopping. Various attractions bring visitors to Grand Cayman: luxury resorts; two golf courses; the Turtle Farm, home to about 16,000 green turtles; the town of Hell, named for its black limestone formations; The Mountain, at 60 feet high; and Stingray City, a popular shallow dive site. Divers come to Little Cayman to visit Bloody Bay Wall, an underwater cliff; fly fishermen come for marlin and sailfish; others come to watch red-footed boobies and frigate birds battle over food.